Now that we have the official English translation of the Extraordinary Synod on the Family’s final report, perhaps it’s worth one more go at understanding what happened last month. The Synod on the Family produced a seriously flawed interim report, the relatio post disceptationem, following the first week’s discussions. This document’s language, calling for a positive evaluation of a variety of sinful behaviors, shocked many, many people. It should never have been made public. The Synod Fathers’ individual interventions on the Synod floor were not released, supposedly to promote free and open discussion, uninfluenced by any public reaction. By that same logic, the interim report should likewise have been kept private. 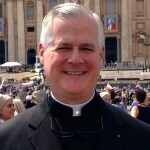 Even more importantly, previously unimaginable statements in the relatio about cohabitation, civil marriage, communion for the divorced and civilly remarried, and people living in homosexual relationships were bound to be interpreted by the world’s media as a first step in the reversal of unambiguous Catholic teaching. And so they were, to the consternation of various Synod Fathers whose first knowledge of the interim reportcame from the media, who got it before the Synod members did. And was it an accurate synthesis of Synod proceedings up to that point? We know from the second week’s small group discussion reports that there was widespread dissatisfaction with the relatio, yet we only got to read those small group reports after a number of Synod Fathers objected from the floor to the announced plan to keep those reports private. The Synod leadership caved in, and the small group reports were posted on the Vatican website (alas with no translations). But at least we have something that the Synod Fathers actually contributed. During the Synod there had been moments of obvious manipulation on the part of some clerics who held key positions in the editorial and governing structure of the Synod. The interim report. . .was clearly a prefabricated text with no reference to the actual statements of the Synod fathers. Consider that the rather lengthy relatio post disceptationem (58 paragraphs) was published in both Italian and English on the day of its release, whereas the final report, the relatio synodi (62 paragraphs) was published only in Italian. The English translation did not appear for two weeks. This trajectory reveals a very flawed approach by the Synod Office to the role of both the Synod Fathers and the faithful across the globe in dealing with the many challenges facing the family in the modern world. Recall that the Synod Office sent out a preliminary questionnaire, seeking input from a wide spectrum of Catholics, not just bishops. It then published the working document, the Instrumentum laboris, which guided the Fathers in preparing their written interventions (to be sent in a month before the Synod began). By the way, it would have helped to have had those written interventions available on the Vatican website once the Synod opened. During the lead-up, Cardinal Walter Kasper was engaged in a media blitz to push his proposal to give Holy Communion to some people living in invalid second marriages. This prompted some excellent rebuttals: the Ignatius Press book Remaining in the Truth of Christ; a special issue of Communio; and a multi-author article in Nova et Vetera. Open discussion certainly occurred, and the incompatibility of the Kasper proposal with Catholic doctrine and practice was amply demonstrated. No one could claim that he was not given an opportunity to speak or to be heard. But things became opaque when the Synod opened. Bishops’ oral presentations were not published. Cardinal Gerhard Müeller objected that the faithful had a right to know what their bishops were saying. The interim report alone was made public. If a numerous bishops had not objected to the plan to keep the small group discussion reports private, there would have been no way for outsiders to verify whether the final report accurately reflected what the small groups had said about the interim report. Even so, the final report, included three paragraphs that had been voted down (52 – the paragraph calling for further consideration of the Kasper proposal, 53 and 55). It gives vote tallies for each paragraph, but nowhere indicates that two-thirds of the votes were need for approval of each paragraph – or that, therefore, the three rejected paragraphs are not part of the final report, but rather are included for informational purposes. Bishop Schneider’s claim of manipulation of the Synod process appears accurate. What good reason could there be for not publishing the entire proceedings? More knowledge is usually considered good, as witnessed by the fact that the Synod Office sought contributions to the discussion through the questionnaire. Shouldn’t the actual Synod discussions have been made known to the faithful? The argument that keeping them private would promote free and open discussion is not self evidently true. If anything, it was probably thought to promote the interests of those who produced the suspect interim report, and then wanted to keep the small group discussions private. All praise to the Synod Fathers who demanded an end to this manipulation, and thus prompted the publication of the small group reports, which overwhelmingly repudiated the interim report. It is one thing to propose seriously flawed “solutions” to pastoral problems, as did Cardinal Kasper. What should not be allowed to happen at next year’s follow-up Ordinary Synod on the Family is a repeat performance, where objectionable statements are given official sanction as somehow representing the collective mind of the Synod Fathers. Such parliamentary maneuvers put a virtual cone of silence over the Synod Fathers, and allowed the ensuing mischief and mayhem of the interim report, which was only partially remedied by the Synod Fathers’ later steps. There are clear lessons to be learned so that this information-control fiasco is not repeated next October.